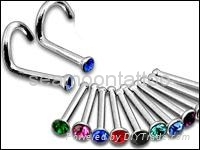 We manufacture all kinds of 316L surgical steel, titanium, acrylic and bioplastic body piercing jewelry. High quality with most competitive prices! for more ,please kindly contact me .